How many Finnish horror films have you seen? Your answer is probably either none or not many. In fact, chances are you’ve never seen anything like The White Reindeer from any country whatsoever – and you may never see its like ever again. It begins like a fairy tale, with stunning, untouched, snow-covered landscapes glistening beautifully and captured perfectly by director Erik Blomberg. It was his debut movie after honing his craft as a cinematographer. Living in this picturesque world are traditional Laplanders. Among them is Pirita, a newlywed who becomes increasingly frustrated at being left all alone by her husband, a dedicated reindeer herder. In desperation she seeks a solution from a shaman; the potion he gives her makes her irresistible to all men, but it also turns her into a shapeshifting bloodsucker who lures her conquests into the barren wilderness before consuming them. Such dark behaviour comes as quite a shock. We associate vampiric activity with the night, where evil deeds can be carried out under the cover of darkness. But here, it happens against the stark whiteness of the snow, giving the story an ethereal quality. 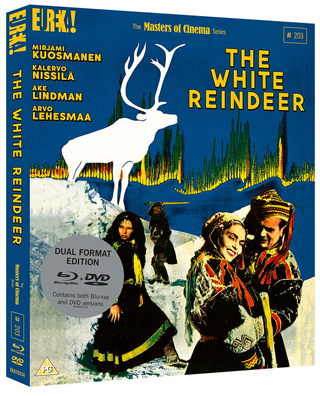 I fancy myself as something of an expert on horror movies, or at least those made between about 1930 and 1980, and yet I’ve never seen anything quite like The White Reindeer before. The closest I can think of is Jacques Tourneur’s Cat People, made a decade earlier, but as gripping as it is, it seems somewhat run-of-the-mill in comparison. 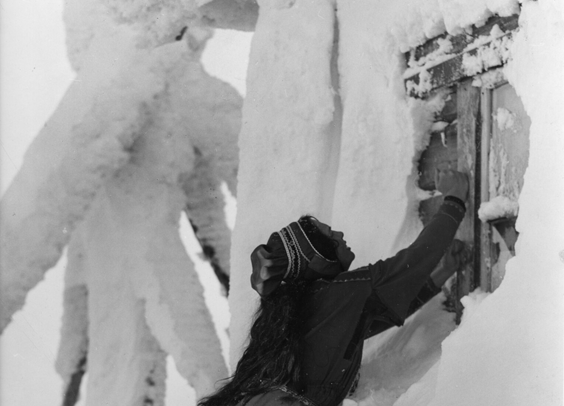 The plot was apparently inspired by the mythology of Lapland and despite winning prizes at the Golden Globes and Cannes in the 1950s, it has rarely been seen in the UK. Thankfully it has been worth waiting for – the 4K restoration is simply stunning, while the story itself is genuinely enthralling. It’s a shame that Blomberg doesn’t seem to have directed many more films because he clearly had a skill that some better known hacks in Hollywood would love to have had. There are plenty of special features to enjoy too, including a feature-length audio commentary from critic and film historian Kat Ellinger, a video essay about the depiction of witches in Nordic cinema and a chance to see Blomberg’s 1947 documentary With the Reindeer. If you have an interest in classic horror cinema and are looking to broaden your horizons, you really couldn’t do better than giving The White Reindeer a try.